Source: Wessan, L. (2018). 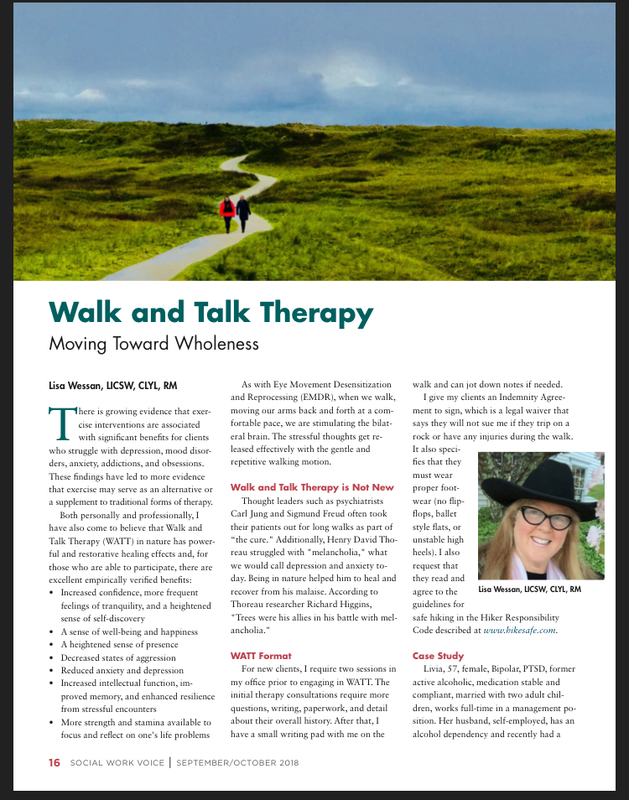 Walk and Talk Therapy: Moving Towards Wholeness. 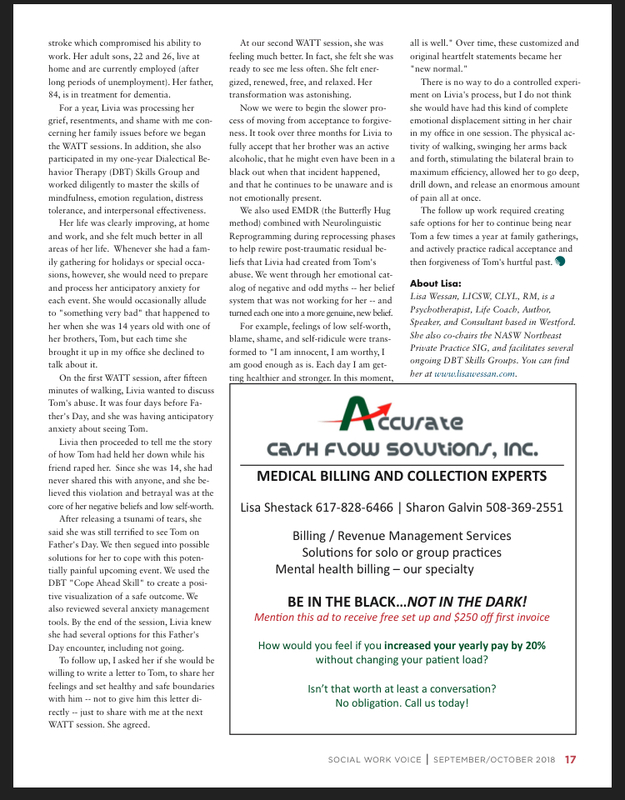 The Social Work Voice. Sept/Oct; 16-17.